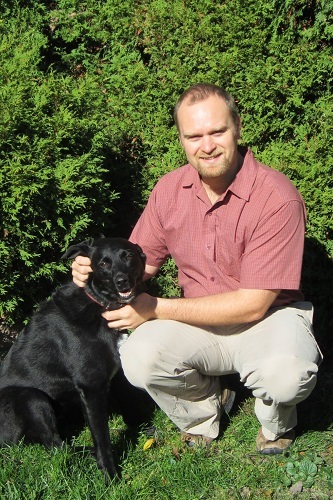 Meet the Veterinarians & Team of Shannondale Pet Hospital in Callander! We’re pleased to provide exceptional vet care for your pets! Please call us at (705)-752-4777 to speak to one of our caring veterinary staff members! Dr. Karl spent his early life in mining communities in northern Quebec before moving to the thriving metropolis of North Bay at the age of 10. He received a Bachelor of Science, with honours, from the University of Guelph and then completed his veterinary degree, graduatuing with merit, at the Royal Veterinary College in London, England in 2003. In England he met his wife Rebecca and kidnapped her back to Canada – actually she was thrilled to come. They moved to Saskatchewan after graduation and then to Manitoba where Dr. Karl worked mostly with beef and dairy cattle and death with the consequences of mad cow disease and an anthrax outbreak. In 2006 they moved to Ottawa where he became an exclusively small animal practitioner and developed a keen interest in surgery and dentistry. In Ottawa they had 3 beautiful daughters to fill their fixer upper home with chaos. They gutted their home and when they had it “just right” decided they better move before the girls destroyed it. So back to northern Ontario and to Shannondale they went in 2012. Dr. Karl is a member of the College of Veterinarians of Ontario, the Ontario Veterinary Medical Association and the Veterinary Information Network. 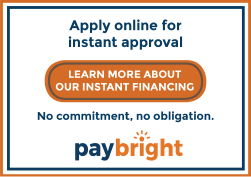 He continues to pursue his interests in surgery, including cryosurgery, dentistry and dermatology. When possible he enjoys spending time outdoors with his family and black lab Korma. He particularly enjoys the old-timer hockey league, fishing, hunting, camping and canoe tripping across the fantastic parks that northern Ontario has to offer. Dr. Teresa Wasilewicz, or Dr. Teresa, as she is known to many of her clients, has been practising veterinary medicine for over 20 years. Growing up on a small dairy farm in the northern Ontario community of New Liskeard played a pivotal role in influencing her chosen career path as a veterinarian. Whether it was milking cows, cleaning the barn kittens goopy eyes, or trying to train the farm dog to herd cattle (properly), she appreciated how animals contribute to our well-being, and wanted to contribute to theirs. 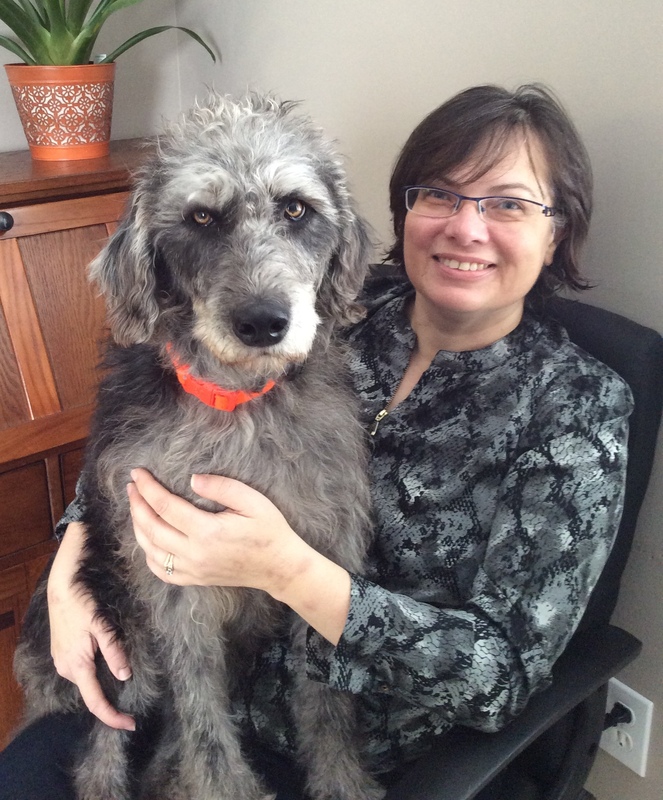 Combining this outlook with an interest and attitude in science and medicine led her to study veterinary medicine at the Ontario Veterinary College of the University of Guelph where she graduated with distinction in 1991. After working as an associate vet in Penetanguishene for 2 years and then in Callander for 12 years, she started her own small animal practice in 2006 by building the Shannondale Pet Hospital, on the site of the locally-historic “Shannondale” family farm. She is a member of the Ontario Veterinary Medical Association, the Canadian Veterinary Medical Association, and the Veterinary Information Network. 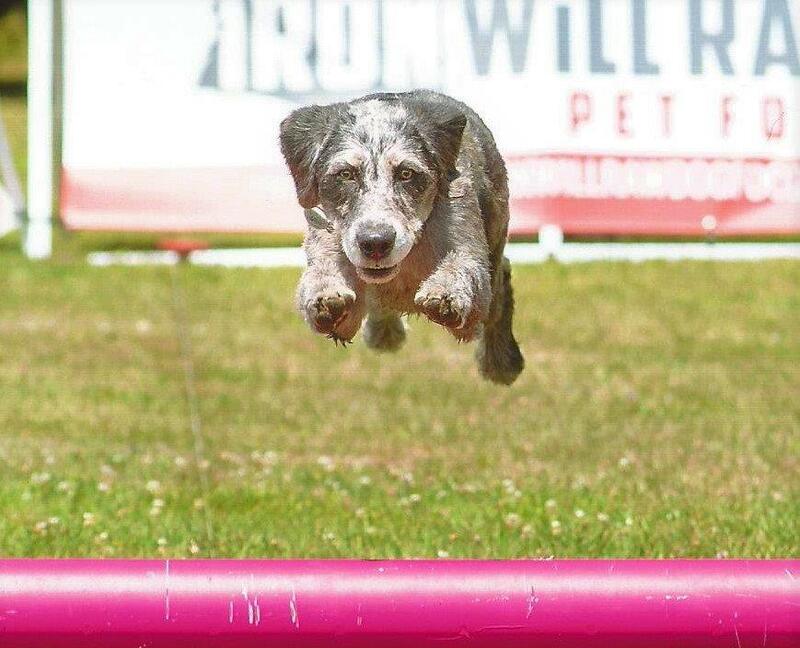 She is a two-time recipient of Pets Magazine Veterinary Appreciation Certificate which acknowledges special recognition from patient’s owners of outstanding service and skills in veterinary science. Working as a small animal veterinarian in a small town has immensely reinforced her love and respect for our fellow creatures and the people that love them. She is fortunate to share her home with her husband Gerry and her two almost full-grown step-kids, and the housecat, the grey domestic short-haired creation known as Roswell. Ashley graduated from northern college in 2008 as a veterinary assistant, and joined our Shannondale Pet Hospital team in 2009. She strives to make our four-legged-friends visit to Shannondale Pet Hospital enjoyable and stress free. She loves coming to work to help give the best care to the animal patients and their families. 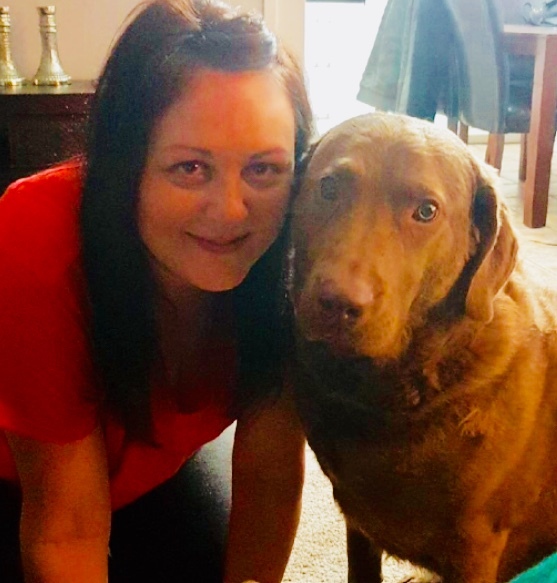 When not engaged in helping to better our furry loved ones, she enjoys camping, fishing, and spending time with her dog Lenny and her cat Abby. 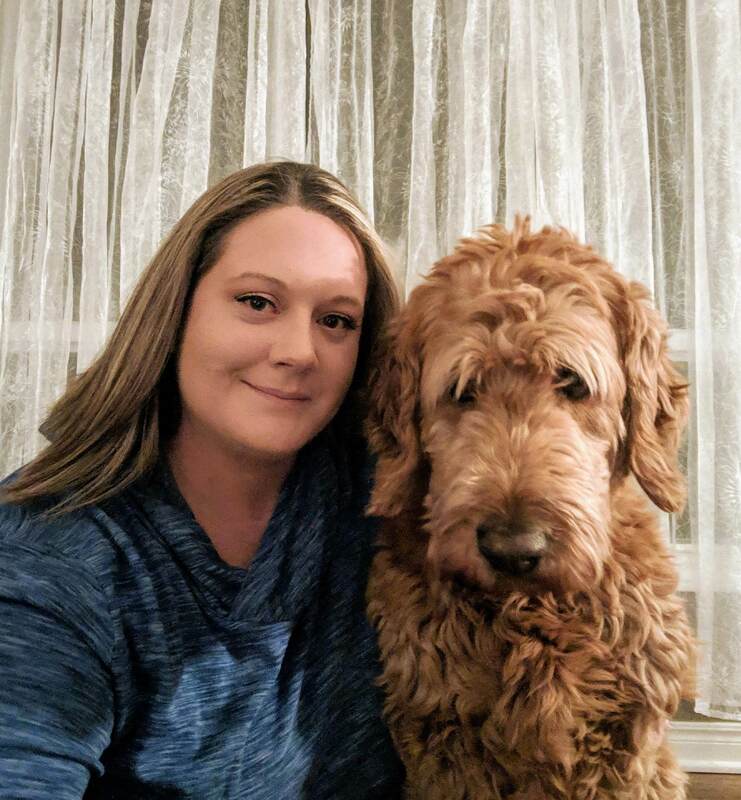 Ashley is actively taking continuing education courses, as she strives to keep up with the new and incorporate as many new learnings the she can to maintain the loving, caring, passionate atmosphere of Shannondale Pet Hospital. 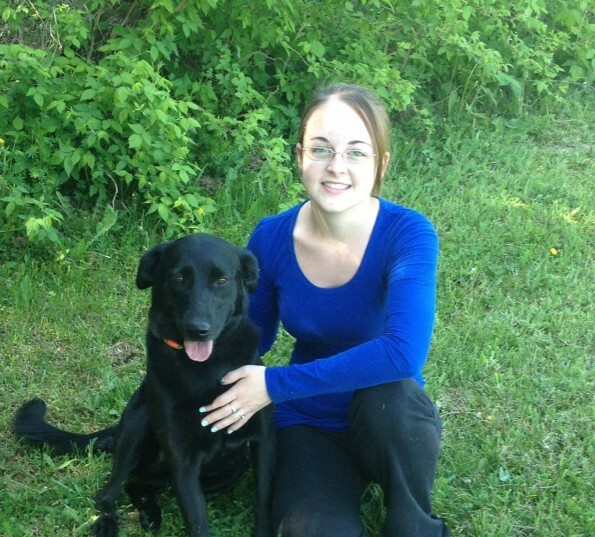 Stephanie’s passion for animal health and welfare led her to join our team in October of 2013. Stephanie has had the opportunity to work with a wide range of animals in various capacities. 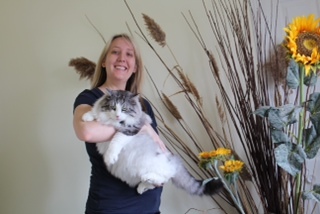 While completing her Bachelor of Science at the University of Guelph, Stephanie worked as an animal care attendant and kitten foster parent for the Kitchener-Waterloo Humane Society. Before leaving the Humane Society, she fell in love with a black lab cross named Kira who was quickly added to her family. Stephanie has also volunteered in the avian/exotic ward and foal watch program at the Ontario Veterinary College and cared for orphaned wildlife at Aspen Valley Wildlife Sanctuary. Before joining our team, she completed an internship where she traveled to China to study Giant Panda behaviour. Currently, both she and her boyfriend, Chris, share their home with Kira and their 10 year old African Grey Parrot named Silver. Stephanie enjoys learning about animal behaviour, hiking, reading, kayaking in the summer, and snowshoeing in the winter. Shauna graduated from Georgian College in 2008 and became a Registered Veterinary Technician in 2009. She joined the Shannondale Pet Hospital Team in September 2014. She enjoys discussing all aspects of pet care with pet owners and being able to establish that great relationship between pets, their owners, and their veterinary team! Her favourite aspects of her job include performing dental procedures, looking after hospitalized patients and doing nutritional counselling. She is always keen to learn about advancements in veterinary medicine and how they could be helpful for our patients. 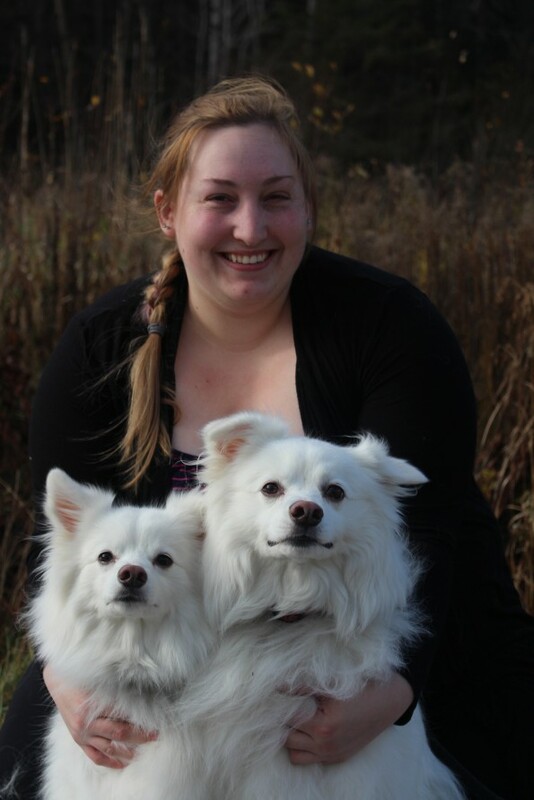 When not at work, she enjoys spending time with her two Miniature American Eskimo Dogs “Khoti” and “Chiara”. She can be seen spending her time outdoors camping, hiking, atving, and in the winter, snowmobiling! Her favourite activity is to go ice fishing with her dogs. Sargent aka “Sarge” is the incredibly good-looking but somewhat demanding clinic cat. He is often found snoozing on his bed at the front desk, or more likely greeting our human friends by demanding treats! He came to us in 2010 when he was just about 12 weeks old. 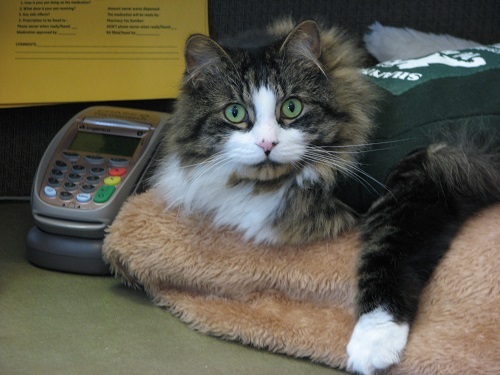 Sargent was adopted from the North Bay Humane Society and we just knew he would be the purrfect fit for Shannondale Pet Hospital. He hasn’t told us of his early kitten hood, but just at 12 weeks old he came to us with only three legs! The story on the street is that he lost it in the war … the war of being born! — He is “Sargent” after all! That is the “tail” we tell, but we have a feeling this is how he was born. Sargent has always got around so well with his three legs it is like he has never missed his fourth leg. Sargent is just full of licks and “love bites” and the little secret is that he lives up to his name by keeping all the staff in line, well-trained and disciplined. Kristin graduated from the veterinary technology program at Northern College in 2005. She took the additional course in wildlife rehabilitation as she has a keen interest in wildlife animals. She worked a year at a wildlife hospital and rehabilitation center before moving to Callander from Mississauga to join our team in 2006. Kristin is valued for her compassion and dedication to helping and caring for pets and their owners. In her spare time she enjoys fishing, gardening, atving, and spending time with her husband and 2 cats, Sammie and Nimzo.